The functionality and health of your teeth and gums should remain priorities in your dental care, but the desire to change certain aspects of your smile is important too. 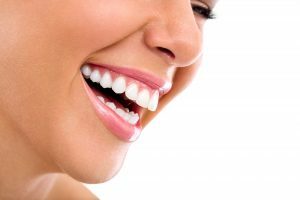 If you have thought about wanting a whiter smile or changing the shape of your teeth, cosmetic dental treatments could help you accomplish these goals. Dr. Denes will work with you to determine precisely what you want to change and design a treatment plan that will help you achieve the smile you want. Call our dental studio located in Fresno, CA at (559) 297-1294 to set up an appointment. Porcelain veneers bond to the front of teeth and can lessen the appearance of stains, chips, and tooth shape related characteristics. Thin shells made of ceramic attach directly to the front of the teeth for an immediate smile transformation. Customized to your design choices, veneers can be costly, but can meet much of the criteria you might have for a smile makeover. Composite bonding of resin material to teeth can correct chips, gaps, and stains. Bonding, unlike veneers, can be completed in one dental appointment. The dentist will bond composite resin material to your teeth, mixed to the shade that best matches them. The composite bonding procedure is simple. Your dentist will etch the surface of the tooth undergoing composite bonding to prepare it to receive the bonding material. Once applied, the resin is molded and smoothed until it is in the proper shape, and then hardened with a special light. Afterward, the dentist will trim, shape, and polish the bonded tooth. Crowns can help restore broken or cracked teeth by covering the entire tooth with a cap shaped to the tooth. Cemented in place, the crown encases the tooth above the gums and can adjust tooth shape, size, and appearance. Crowns can also cover and support a tooth that has previously had a large filling that needs replacement, resulting in little tooth structure to work with. After an initial visit in which the dentist will prepare your tooth to receive the crown, your dentist will cover your prepared tooth until your custom crown is made and ready for placement at a second appointment. If you have metal or amalgam fillings that show when you laugh or speak, composite resin fillings can replace them. Over time, amalgam fillings can darken and might also need replacement if decay has persisted around the filling. Composite resin fillings give patients an option for material that can match the shade of their current teeth for a seamless restoration to their smile. A full mouth reconstruction combines procedures into one treatment plan if a patient has multiple concerns with aesthetic or structural problems. Reconstruction treatments focus on the health and function of the mouth, also often resulting in added aesthetic benefits. These procedures can be restorative, cosmetic, orthodontic, or periodontal. You will discuss with Dr. Denes in detail which treatments will most benefit you and meet your smile goals through a full mouth reconstruction. Start your smile makeover with a consultation with Dr. Denes at Fresno Dental Studio by calling (559) 297-1294 today.